Brad’s Embodied Wisdom program focuses on teaching you the practical integration of Tantric Hatha Yoga and Ayurveda for optimal health, powerful inner growth, spiritual expansion, and overall life wisdom.The ancient Vedic sciences of Yoga and Ayurvedic medicine form a brilliant holistic partnership to guide us towards self-discovery, healing, and to bring balance to our lives. Ayurveda gives us the foundation of health and vibrancy to cultivate balance in our body, mind, and soul while Tantric Yoga and meditation can enrich and empower our spiritual path by ten fold. - Learn to design Yoga practices for the doshas, seasons and specific imbalances- The energetics of Hatha Yoga Inc. Asana, Pranayama, Bandha, Kriya (Vinyasa Krama)- Sankhya Philosophy, the back bone of both traditionalYoga & Ayurveda- Knowledge of the 3 doshas (biological humors)- Understand your unique Constitution (prakriti) and Current condition or imbalance (Vikriti)- Create a practical & powerful daily Ayurvedic routine for you and your students (Dinacharya)- Principles of diet and food practice for specific constitutions & conditions- The digestive fire (Agni) and the importance of healthy & vital digestion- Four Inherent Desires of the Soul (prushathas) Dharma, Artha, Kama, Moksha- The 5 great elements and their 20 qualities of nature- The 3 gunas (primal forces of nature)- The 3 essences of human life: Prana, Tejas and Ojas- Learn to design Yoga practices for the doshas, specific imbalances and energetics. The training will consist of daily Ayurvedic, Yogic and Meditation practices, lectures/discussions, exercises, homework/reading, and enriching Transformative Experiences! This training is suitable and beneficial for yoga teacher's and student's wishing to deepen their practice and understanding. 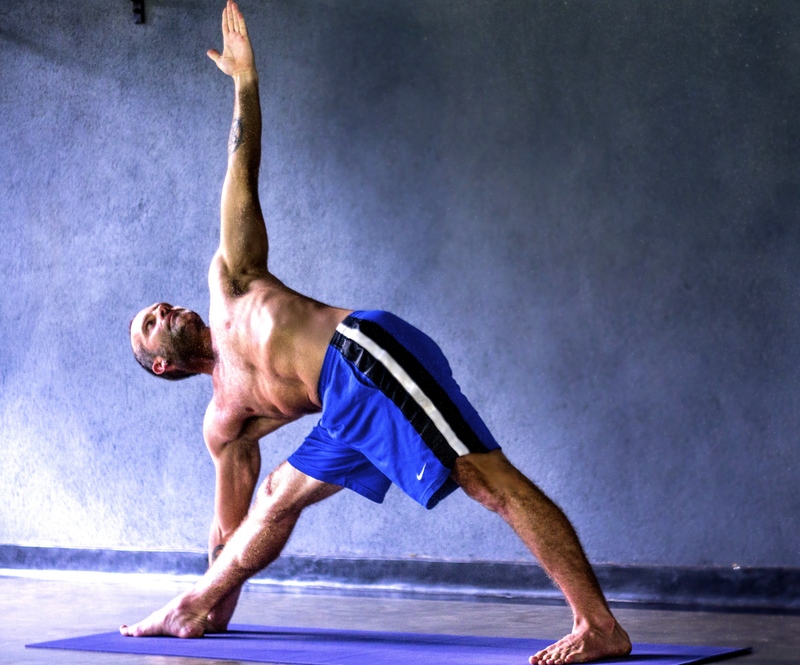 All of Brad Hay's trainings are certified with Yoga Alliance as continuing education hours. $950 or $1700 for both this course and Brad's Tantra: Power & Mastery of Prana course running from 8 - 12 July also at Yoga Sita.$200 deposit required to secure your place. Please contact alex@yoga-sita.com or 0415340848 to enquire or book. Brad is a world class ParaYoga and Meditation Teacher with aprofessional teaching career stretching over 20 years. He began teaching Hatha Yoga in 1999 and in 2003 completed Yoga Arts world-renowned 9 month full time training in Byron Bay with some of the countries leading teachers.In Colorado 2007 Brad met his current mentor of 12 years, Master Teacher, Yogarupa Rod Stryker, founder of ParaYoga. Rod is considered to be one of the worlds leading authorities in the Tantra Yoga Tradition and he officially initiated Brad into the lineage of Sri Vidya in 2010. Brad completed ParaYoga’s Master Training Program and is considered one of Para Yoga's leading Senior Certified Teachers.In addition Brad is a Nationally Certified Ayurvedic Practitioner and a professional member the National Ayurvedic Medical Accociation in the USA. He completed his studies through on of the USA’s leading and most recognised Schools, The Californian College of Ayurveda.Brad leads Tantra Yoga & Ayurveda workshops, intensives, and retreats around the world and has recently relocated with his family back to his home country, Australia after 18 years in the USA. Brad is currently the only ParaYoga Certified Teacher in Australia.